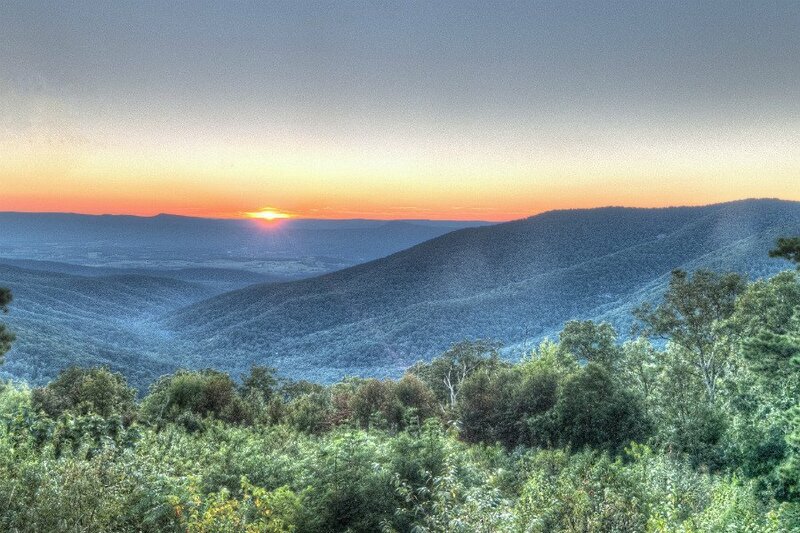 The Blue Ridge Mountains at sunset. Photo by Aaron Garza / Flickr. National parks, long walks on the beach, sprawling historic estates — there's a lot waiting outside Raleigh. Make the most of your next three-day weekend at some of our favorite destinations a quick drive from North Carolina's capital. RALEIGH, North Carolina – Federal holiday, sick day, however it's happening, you're taking a long weekend. A few days in these vacation spots just a few hours from Raleigh, and you'll wish you had taken the whole week. 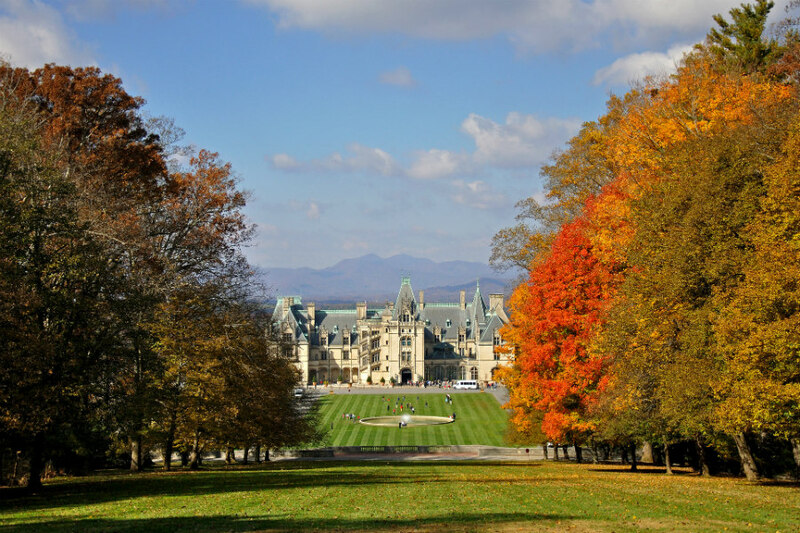 The Biltmore Estate as the leaves begin to turn. Photo by Jennifer Boyer / Flickr. If you're in the mood for: Historic architecture and innovative cuisine. Route to take: It's slightly out of the way, but for the last leg of the trip driving into Asheville, take the Blue Ridge Parkway for stunning views. Your Agenda: Check into the Windsor, a tasteful boutique hotel right in downtown Asheville. In warmer months, check out the wildflowers and mountain views of National Heritage Area Craggy Gardens just outside the city, or stay inside at the Asheville Pinball Museum, which displays machines dating back to 1960 (and you can still play them). In this small and buzzing city, food takes the cake: try Cúrate, Katie Button's superb Spanish tapas bar, or Blue Dream Curry House, which serves eclectic and delicious curries from different world cuisines. Avoid the Sunday blues: Spend the day at Biltmore Estate, George Vanderbilt's historic 8,000-acre compound. Walk through the Conservatory, swing by Antler Hill Village and Winery, and eat at one of the many restaurants on site. Better yet, wake up on-site: Rooms are available at the luxurious Inn on Biltmore Estate. 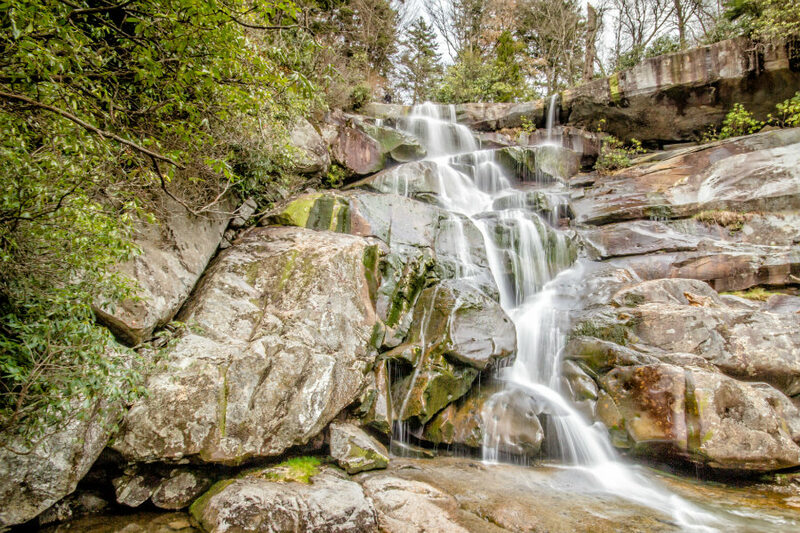 Waterfalls in the Great Smoky Mountain National Park. Photo by Peter Ciro / Flickr. If you're in the mood for: True farm-to-fancy-table cuisine and a few days exploring a beautiful national park. Route to take: It's only about an hour farther than Asheville, so stop in the city for lunch on your way. Your Agenda: Stay at Blackberry Farm, a luxury hotel (yes, it's on a farm) and an excellent home base for all the activities in the Great Smoky Mountains National Park. There are plenty of trails to hike and waterfalls to see, so lace up those hiking boots. If you're feeling a little more sedentary, look for wildlife while you drive the eleven-mile loop around the verdant valley of Cades Cove. The farm offers all kinds of tastings (think wine and whisky), so book one of those to end your day of outdoor adventuring. Avoid the Sunday blues: Shop the famous farmstead for goodies to bring home. 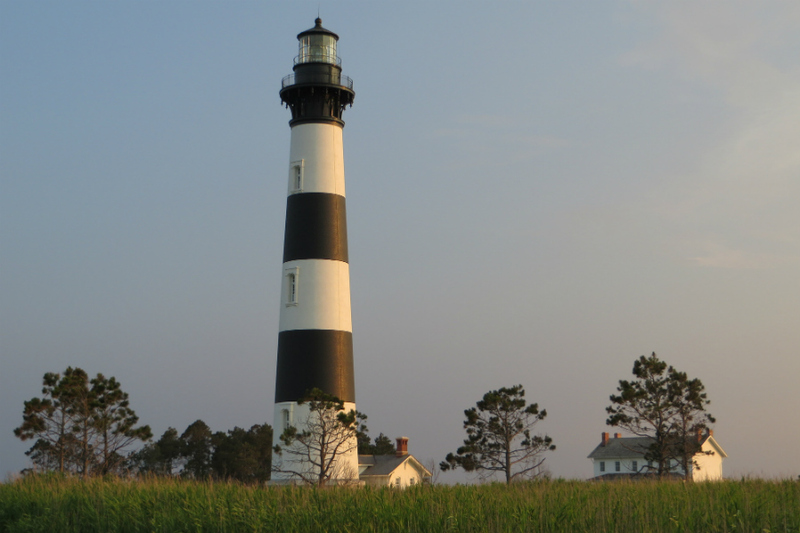 Bodie Lighthouse on Cape Hatteras. Photo by Ken Lund / Flickr. If you're in the mood for: A quaint seaside escape. Route to take: Stop in Nags Head for fun, beachy lunchtime restaurants along the way. Your Agenda: Check into The Inn on Pamlico Sound, a destination in itself, right on the water. Head to Orange Blossom Bakery for breakfast and pick up one of their famous "apple uglies" (it's a pastry), then climb nearby Cape Hatteras Lighthouse, the tallest brick lighthouse in North America, for spectacular views. Tour the island on the hotel's complimentary bicycles, look out for dolphins as you walk the Cape Hatteras National Seashore, and watch the fishermen bring in the day's catch in Hatteras Village in the afternoon. You can try your hand at windsurfing or kiteboarding, too, right from the Inn's dock. For fine dining, have dinner at Cafe Pamlico overlooking the sound, or keep it casual at Good Winds Restaurant, which has tons of outdoor seating and overlooks the water as well. Avoid the Sunday blues: How about a three-course gourmet breakfast? It's something to behold.